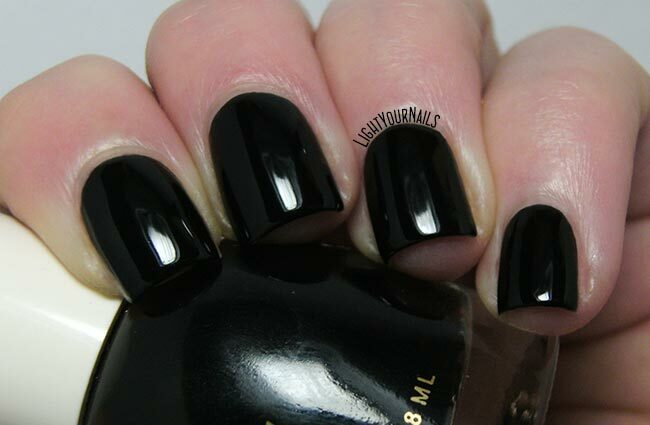 H&M Neo Noir | Light Your Nails! I'll be quick today because I am using my brother's computer and I hate it. 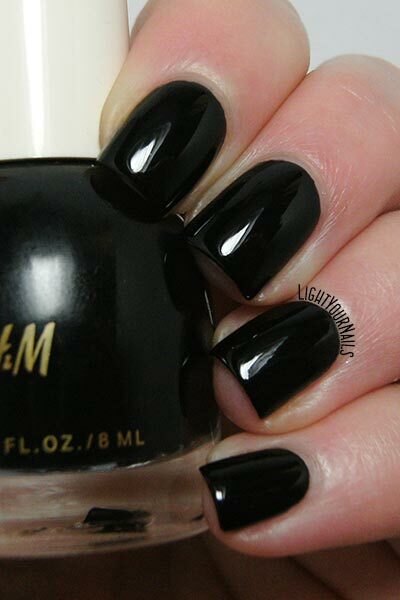 I'm showing you H&M Neo Noir, a classic black creme. This nail polish was inside a 3-pieces kit together with Space Race. I didn't need another black creme but I wanted the holo so bad that I just purchased the full set. A black creme is always handy anyway. Neo Noir is a very good nail polish, but I think I've never found a troublesome black creme anyway. Application is very easy, also thanks to the rounded brush. Coverage is very high and finish is extra glossy. That's it! Do you think something as a bad black creme exists? What's your favourite one? ehm...lacche nere di scarsa qualità...kiko?? linea power pro: o è il mio nato sfigato o è proprio la formula pessima. si stende male, molto colloso...brutto brutto! Lasciamo stare la linea Power Pro in generale per quanto mi riguarda! Ma credevo che almeno i colori base fossero decenti. Pensare che il vecchio Kiko nero era ottimo. L'holo è linkato al suo nome sopra, l'ho usato subito, mica potevo aspettare!!! ah ma allora l'avevo già visto (e inserito in wishlist sul cellulare ahah) l'holo! I love black creme polishes and yes, there are some bad ones (Maybelline springs to mind), but this one does look perfect. Maybelline is a brand I have very few bottles of to be honest! Their colours always seem so boring. Happy to know I'm not missing on that!